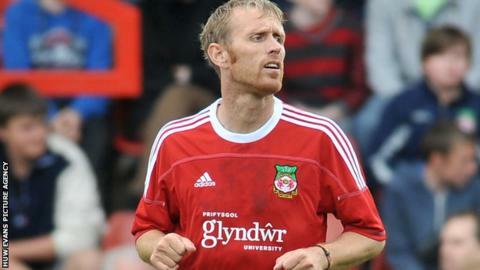 Veteran striker Brett Ormerod has left Conference Premier club Wrexham by mutual consent. The decision came after 37-year-old Ormerod was told by recently-arrived boss Kevin Wilkin that he did not figure in plans for next season. "Brett Ormerod has left the club after cancelling his contract by mutual agreement," Wrexham stated on Twitter. "He leaves with the best wishes of all the Racecourse." Ormerod joined Wrexham on a free transfer from Blackpool in July 2012. He had been offered fresh terms by Blackpool and received interest from another of his former clubs, Accrington Stanley. But he opted to join then-manager Andy Morrell's Wrexham squad. Ormerod has made 38 appearances for the Dragons this season, scoring five goals. Morrell left the club in February and was succeeded on a permanent basis by Wilkin the following month.